Equivalent to Stancor A53-C. 1:3 ratio overall. Center tapped secondary may be used for push-pull grids. Specifications Max. 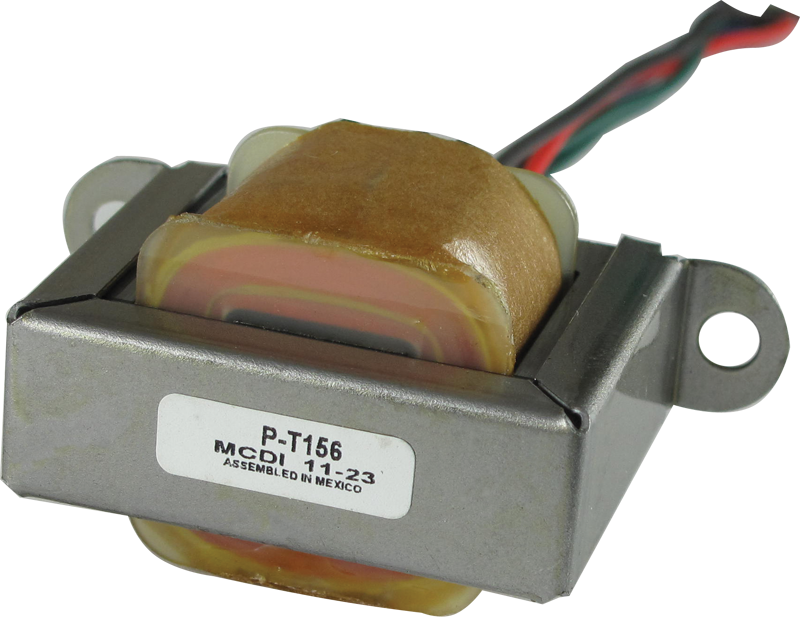 Primary Current: 10 mA Impedance Primary to Secondary (Ohms): 10,000 to 90,000 Mounting centers: 2" Weight: 0.4 lbs. Mounting Center Distance A 1.95 in. Packaging Dimensions 7.3 in. x 2.3 in. x 1.3 in. 3 answers Can someone provide the frequency response spec for this unit? Hi, unfortunately the only information we have on the transformer is what is stated above. How much voltage can the primaries handle? That information is not provided by the manufacturer. 1 answers You have the impedance of 10k and 90k, but the schematic for my radio is dc ohms (2k and 13k). Can you tell me the dc resistance of the primary and CT secondary for this transformer? 1 answers Will this work on my 1922 Crosley battery set ? We wouldn't be able to guarantee compatibility with your particular set as we do not have the reference materials needed to do so. However, this transformer is equivalent to the Stancor A53-C so I would recommend researching the compatibility of that model with your set. Unfortunately we couldn't speak to the compatibility of this transformer with your unit. I would suggest seeking out a reputable tech in your area who may be able to determine compatibility based on the needs of the radio and the specs of the transformer. 1 answers I have Chelsea Super 5 1925 battery radio where both interstage transformers are open, will this product suffice to get the radio operational? We are not techs and are not sure if this will work in your situation.